With Spring here I have florals on the mind, so I thought I'd create an eBay edit of my recent floral finds. 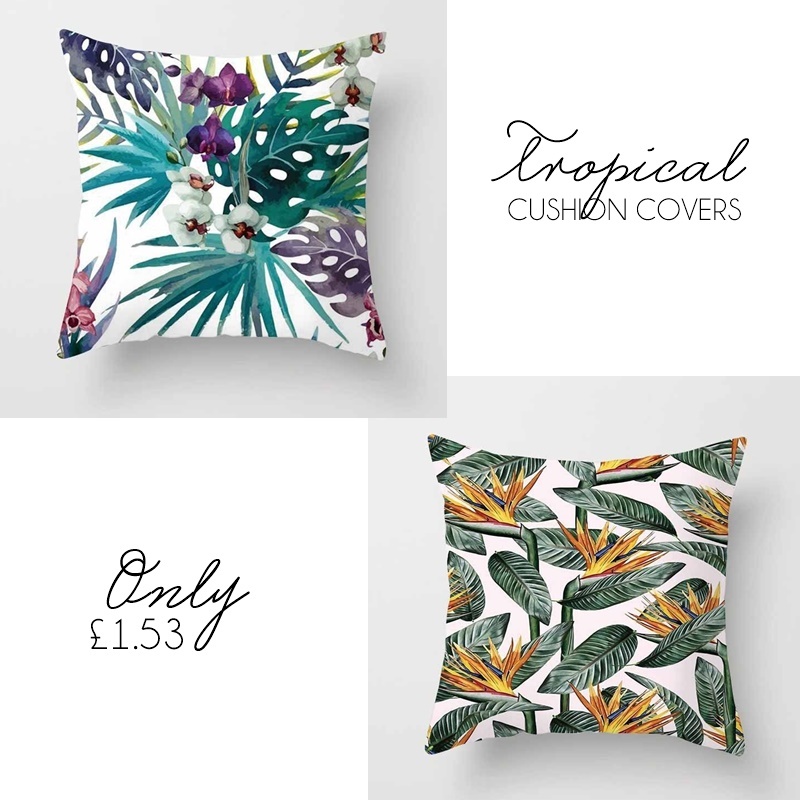 From some bargain cushion covers to real touch tulips that look amazing all year round and some personalised floral phone cases I can't get enough of! eBay phone cases are a bit of an obsession of mine! I change them up way too often but I just can't get over how many nice designs there are to be found. My recent favourite design is anything floral, with my current phone case being this lovely deep floral phone case here. However, now I have my eyes on these custom name phone cases with watercolour florals, perfect for spring and ideal if you have a gold or rose gold backed phone! With summer approaching I'm already on the lookout for a few new items. This lovely summer dress was something that caught my eye as it's just so summery and cute. I also love the flattering ruffles and cold shoulder detail. While looking for floral finds I came across this oilcloth handbag that reminds me of a mix of Laura Ashley and Cath Kidston! Not only is this really affordable but it looks good quality and I love the floral bird design against the grey. Available in Navy, Blue and Beige. Along with my eBay phone case obsession, I also love to pick up bargain necklaces from eBay. I recently added this dainty lotus necklace to my basket along with a stunning Alex Monroe inspired bee necklace here. Find a smaller version of the lotus flower necklace here. Keeping with jewellery I also discovered these lovely daisy studs with drop crystal detail that really do add something to them! A total bargain and perfect for Spring/Summer. A few years ago I picked up some artificial latex tulips and every year come Spring I bring them out to display in a vase on my dining room table. On receiving them I couldn't believe how real they looked and felt and since then I pick up latex flowers wherever I can (they don't seem to be that common) as they are the most realistic looking artificial flowers you can come by! eBay is awash with budget custom covers so I had to include some in my favourite floral finds.These are both bold in design and totally on trend! As these are so cheap I like to use them outside in summer but also to jazz up my sofa with each season. If you love stationery then you are likely to be a little washi tape mad, I know I am! So since I recently picked up this ultra pretty washi tape I thought I would share it here. It's definitely got Rifle Paper Co. vibes and is a bargain at £1.80 for a full roll. Wall decals are a great way to add interest to a wall especially if you rent. They are also incredibly cheap on eBay! This specific wall decal consists of 5 floral hanging basket designs along with small birds and butterflies, which you could use around the hanging basket decals or use on an entirely different wall. Lastly, I wanted to include a little charm bracelet that would be perfect as a gift or a treat to yourself. Available in 8 other designs each bracelet comes with a charm on a display card. Really lovely!